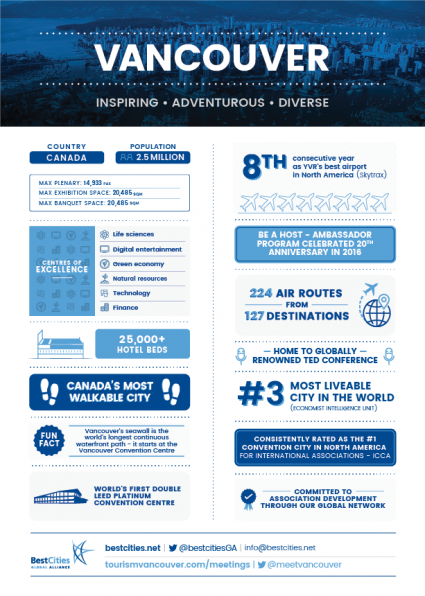 Vancouver is consistently ranked among the world’s top three cities for both livability and sustainability, and has been named the top convention city in Canada (Watkins, 2016) and the top city in North America for International association meetings (ICCA, 2015). This modern, vibrant city is surrounded by nature. Snow-capped peaks, lush green parks, and the sparkling Pacific Ocean beckon from every window. Combine that with first-class hotels, North America’s top rated airport, easy flight access from both Europe and Asia, exceptional cuisine, and exciting year-round festivals and events, and you’ll begin to understand why Vancouver attracts more than 10 million visitors a year. The award-winning Vancouver Convention Centre continues to be a beacon of inspiration and leadership. 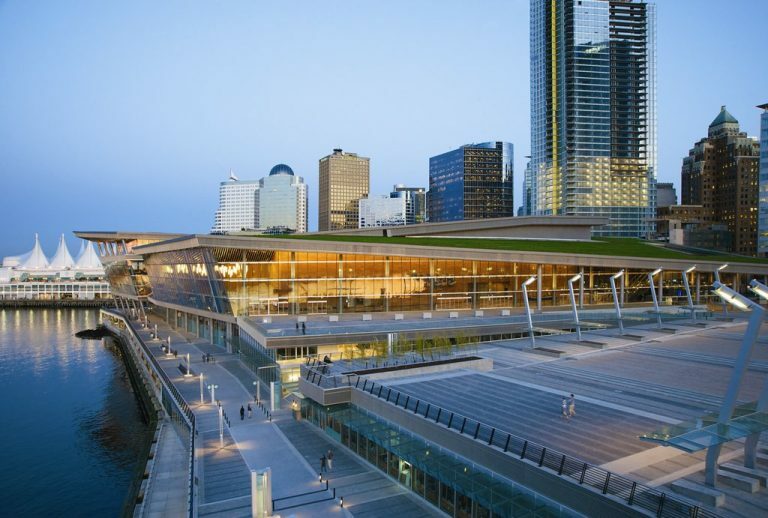 Besides the inspiring waterfront location, stunning views of forest, mountains, and ocean, the Vancouver Convention Centre is LEED Platinum certified. 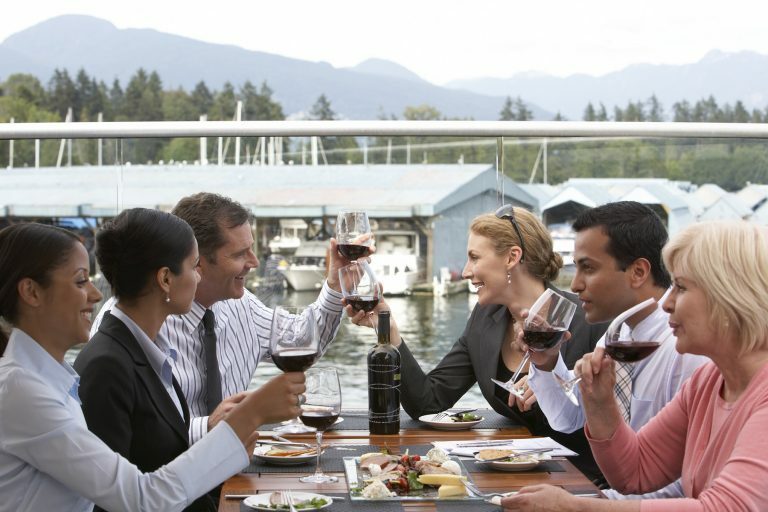 Delegates enjoy healthy cuisine made in the centre’s scratch kitchen and Vancouver’s famous seawall path just steps away for lunchtime walks. 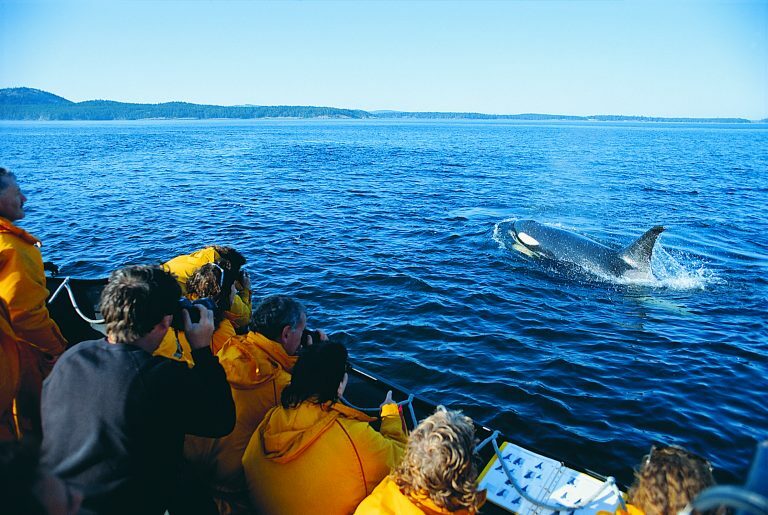 There’s always something exciting to do in Vancouver: from sporting events and cultural festivals, through to First Nations experiences, outdoor adventure and one of the world’s hottest culinary scenes. 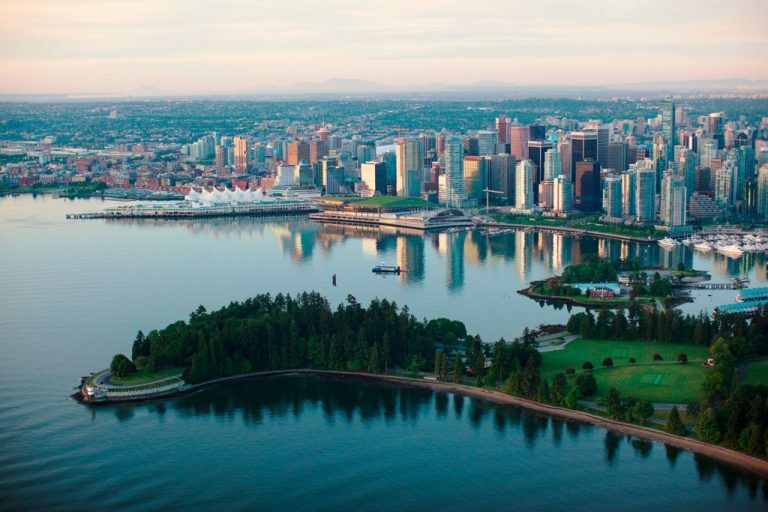 Learn more by perusing Vancouver’s event calendar.